Design the perfect custom deck and let VizTerra, our 3D deck design software, do the calculations for you. From beams to posts, surface boards to skirts, staircases to fascia, and much, much more: VizTerra calculates everything. Instantly, automatically, accurately, so that you can create the amazing custom deck your clients have always wanted. The only 3D deck design software designed specifically with professional deck builders in mind, VizTerra now makes it possible for designers to create custom decks in 2D, reveal the results in stunning 3D, and gather all the important calculations — automatically. VizTerra sets a new standard for outdoor living design, giving you the tools you need to absolutely amaze your clients. After all — your client’s backyard likely needs more than just a beautiful deck. With VizTerra’s fully integrated options, you can give them everything they need. The custom deck, the perfect lighting system, the detailed landscaping chosen precisely for their environment, the hardscaping that complements their home, the outdoor kitchen ready for their next party, the fence to keep the family dog safe — and much more. 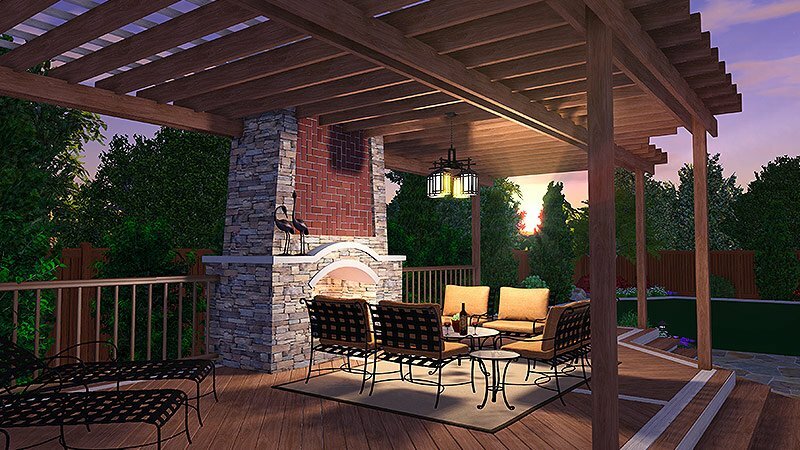 VizTerra offers far more than landscape design software: Professional 3D Landscape Design Software, Hardscape Design Software, Outdoor Living Design Software, Garden Design Software, and now Deck Design Software. All in one incredibly easy to use package — including full support. Customized for landscape, hardscape, and outdoor living and garden designers as well as builders and architects, VizTerra is the leading choice of professionals who want to impress their clients, increase their profits, and lead their market. Discover what you can achieve when you create with VizTerra.